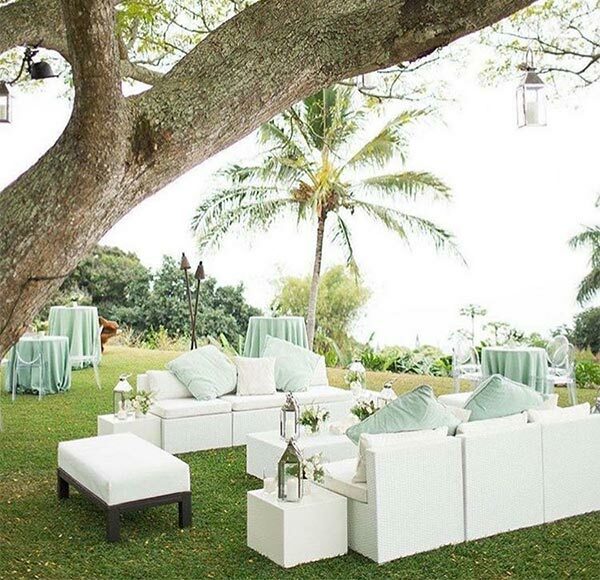 The Estate at Holualoa Inn is an ideal venue for those seeking to experience the Big Island of Hawaii. The Holualoa Bed & Breakfast Inn with lush landscape offers a total of eight guest rooms. Six rooms are located in our main house. The other two are just steps away – a stand-alone one-bedroom vintage Cottage and the Red Barn suite. 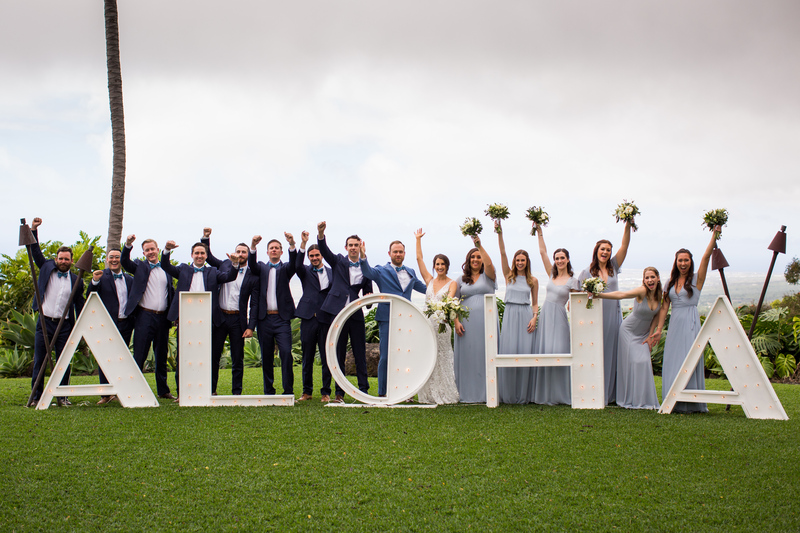 The wedding venue is our open-air Malulani Pavilion surrounded by a beautiful lawn and a panoramic view of the majestic Kona coastline that will take your breath away. Choose any of our wedding packages or customize your use of the Estate to create the wedding of your dreams. Each guest room sleeps two comfortably. Four rooms can accommodate a third person. Event planning and coordination can be arranged. 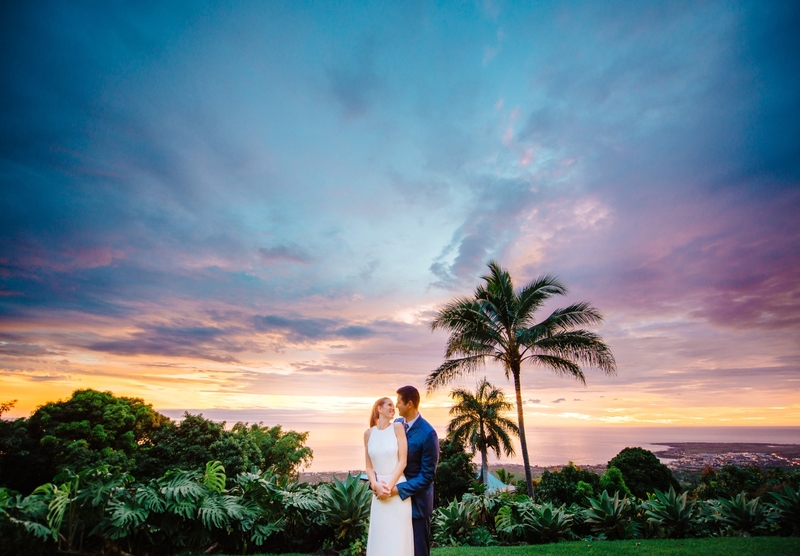 Catch a glimpse of our beautiful Big Island wedding venue. 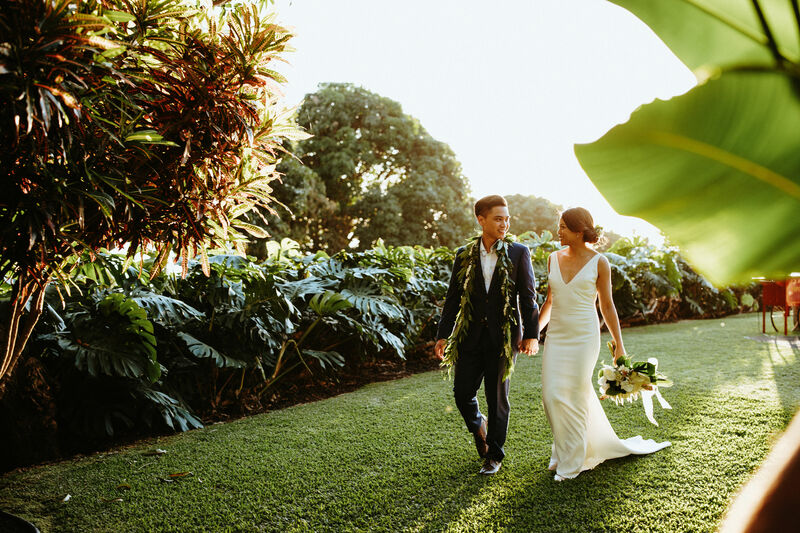 Browse through photos of previous weddings hosted in Hawaiian paradise.